Process your Credit Card, ACH, Electronic Checks and Paper Checks using QuickBooks! 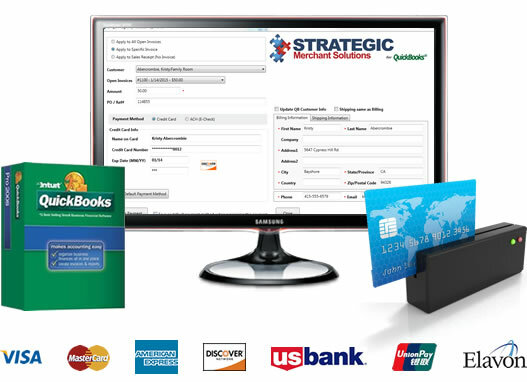 "NEXT DAY FUNDING"
Process credit card transactions virtually anywhere, anytime. Transactions automatically record in QuickBooks. Powerful invoicing features and allows customers to pay you online with a credit or debit card. No matter what and how your business operates, we have the right service to capture your desired customer. SMS will help your business compete at a fraction of the cost. Complete online solutions: Get everything you need to sell online. The acceptance of all major credit cards is a key factor in the satisfaction of your customers. The effective way to increase your sales and generate business. registered ISO/MSP of U.S. Bank, N.A. All rights reserved.